Most large organizations have at their core an IT infrastructure that supports company operations. Business intelligence is not a specific technology or methodology but rather an integration of pre-existing parts into a new, more cohesive whole. Business intelligence solutions allow these companies to leverage the data that passes through their IT infrastructure via data mining, aggregation, and reporting. The manufacturing industry reaps gains from this data by using it to increase operational efficiency and eliminate process redundancy. Ayoka offers solutions that integrate with an existing hardware base. Many machines in the manufacturing industry come equipped with a PLC, or programmable logic controller. Ayoka can create custom applications that collect data from these PLCs, sort and analyze the data, and finally generate reports available through a web interface deployed externally or within the confines of a company intranet. Although many off-the-shelf business intelligence solutions exist, at Ayoka we are not afraid to say that our solutions are better. More important than technical merit is the fact that we tailor applications to meet a specific customer’s needs. Canned, general applications must necessarily aim for the lowest common denominator in order to be useful to a large customer base. Many of the features found in off-the-shelf applications will not be useful to our clients or, worse, the applications will lack vital features that the client requires in order to realize a return on his own investment. At Ayoka, we create truly custom applications that conform to our client’s specific domain model. The application is your intellectual property. The ROI from business intelligence is hard to quantify but not hard to see. 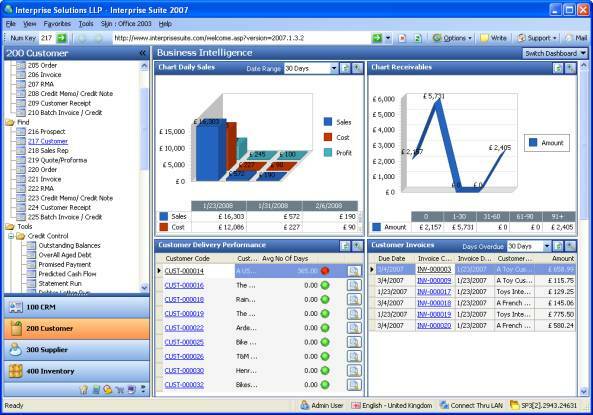 Business intelligence solutions allow management to make more informed decisions. More informed decisions are more likely to result in an increase in operational efficiency – which leads to a better bottom line.